Works as it says, did produce a mirror edge with stropes and diamond paste. Craftsmanship is pretty poor, priced slightly high but works. I have sharpened around 15 knives on the system now and have the hang of it. The price for the unit is definitely a plus. 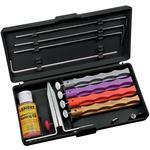 The unit is well made and works as advertised.The unit does need to come with better instructions on how to position the knife for sharpening. After a little research I found instructions on the Wicked Edge site that also worked for this system. All in all, I recommend this system as it is well and and works GREAT if used correctly. 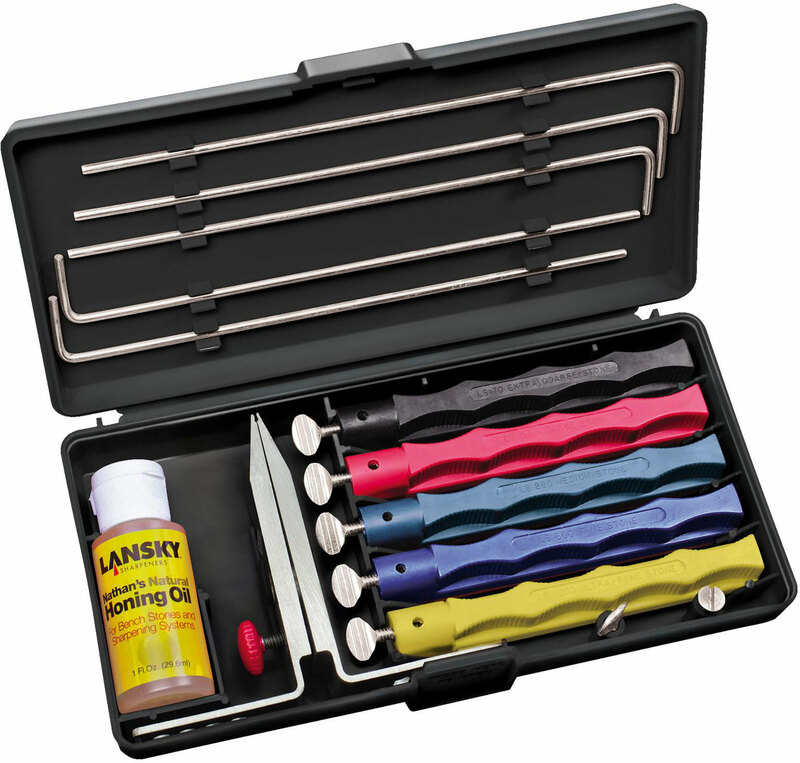 Hey, I wanted to share "Lansky Deluxe Knife Sharpening System" with you from KnifeCenter.